The modification allows you to acquire ownership of new types and variants of couplings. 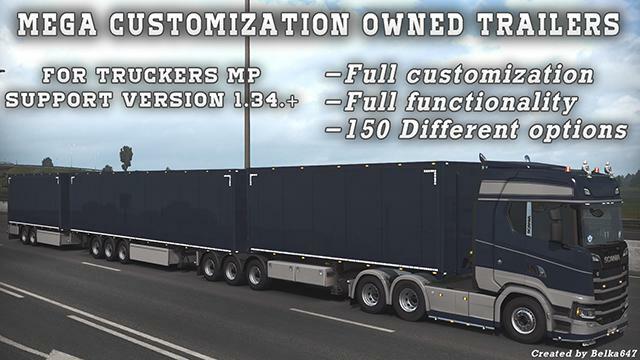 It is necessary to buy in a single game,”to modify” and it is possible to repair in Truckers MP. Stored like the rest of the trailers under “Trailer”. 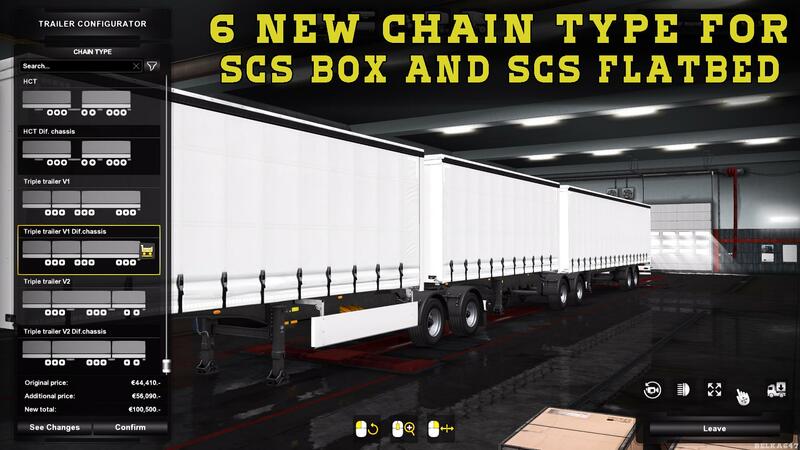 -Saved the full functionality of the trailers. -Added 6 new types of couplings. 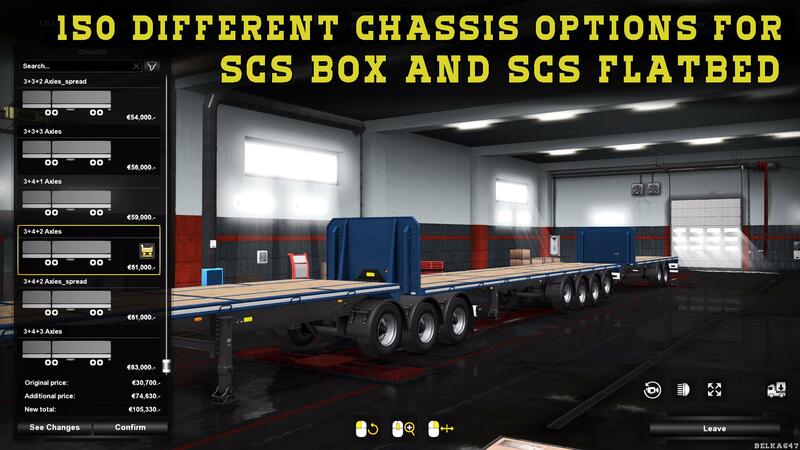 -Added 150 different chassis options. In the trailers it is possible to load the gaming goods from “stock of goods”. To discover more details of tuning and there were parts where they are not. In order for you to be able to save in any garage and load in any country.